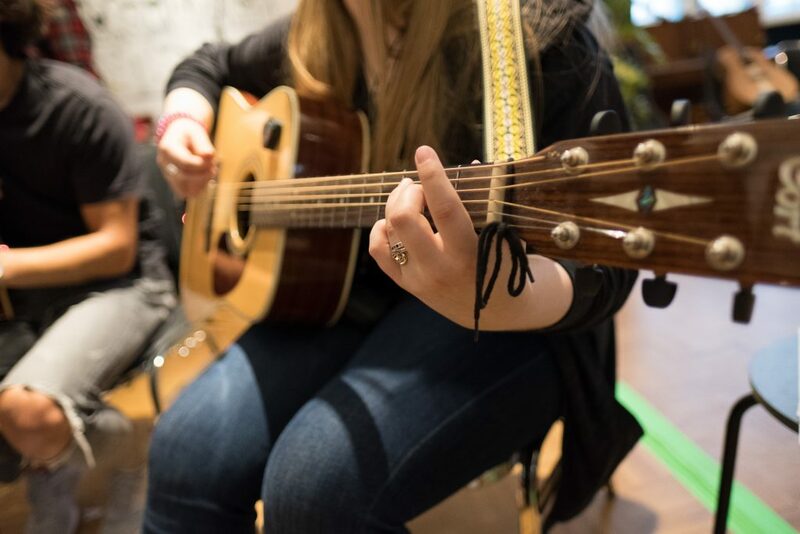 A FOUR-WEEK course in the basics of guitar taught by women*, for women* every Tuesday from 17:30 – 18:30. Learn the different parts of the instrument, some simple chords, rhythm and the basics of songwriting. This course is designed to give students the tools in which to start making music and the confidence to develop these basic skills further within a safe and supportive environment. After finishing the beginners course, participants are welcome and encouraged to join either our weekly Women’s or “Mixed” Guitar Groups.